In 2018 Brendan enjoyed one of the proudest days of his life becoming an Australian Citizen and was a happy healthy 48-year-old man living in Gymea Bay with his wife Anna and two beautiful children Patrick, 12 and Sienna, 11. Soon after this Brendan lost 40% of his vision in his right eye. The following day he had it checked out. He went through a barrage of tests including a full body CT & PET Scan, Brain MRI & Biopsy. The results from these scans resulted in Brendan being diagnosed with Stage 4 Metastatic Melanoma with tumors in the brain, bones, chest, back, lung and eye He has undergone treatment for the past 6 months but unfortunately the recent results have not been good. The melanoma has spread quite aggressively into Brendan’s brain and he needs to undergo life-saving radiation treatment & heavier immunotherapy treatment to hopefully eradicate the spread of this disease to overcome this life-threatening setback. Up until now Brendan has tried to balance work with his treatment however with the critical nature of the current situation, and the stress on his body, he is forced to take time off work to focus on recovering from this dreaded disease. 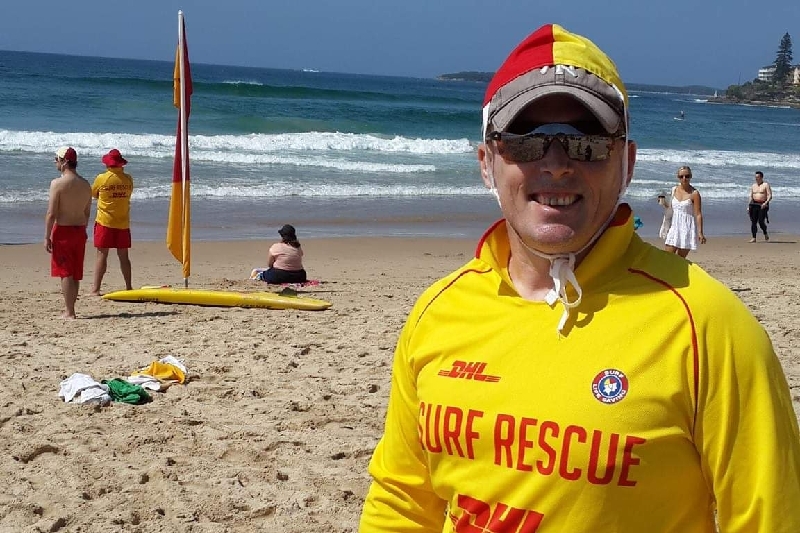 Brendan has been a volunteer surf lifesaver with North Cronulla SLC for the past 6 years and is currently a Patrol Captain which he loves. He has over 500 hours of service in his short time with the club. He has achieved many awards including Senior Patrol member . A former rugby player, Brendan now volunteers his time in helping the surf club rugby team as a joint medic. He is very generous with his time in helping others and always has a smile on his face and encouraging words for others. Brendan is one of the most positive & strongest men we know & if we can make this fight a little bit easier, we’re going to do whatever we can for him. It’s time to send some of that love, energy & support back to Brendan and his family. Brendan & Anna will need help paying for medical & living expenses due to the heavy treatment that lies ahead. Please help us so that Brendan can focus on his children, health and getting better so that he will be there for his family in the future. Thank you for your support and generosity. So today we continue with the second round of immunotherapy. Brendan has been keeping well and focussing on healing. We have scans coming up soon which will give us an idea of the impact of the recent treatments. Thanks everyone and have a lovely Easter break with loved ones. Radiation treatment proceeded last week on the brain. We will know the outcome of this when we see the radiation oncologist in May. Immunotherapy treatment begins again today and every 3 weeks for the next 3 months. Thank you all for your amazing kindness and support. Your generosity and good wishes has really boosted Brendan's determination in overcoming this illness.